KAMPALA – The Uganda National Roads Authority (UNRA) has urged Parliament to expedite the passing of the Roads Bill 2018 into law saying delaying in approving the amendments may affect Uganda’s ability to pay the loan from Exim Bank of China that was used to finance the construction of the Kampala-Entebbe Expressway. 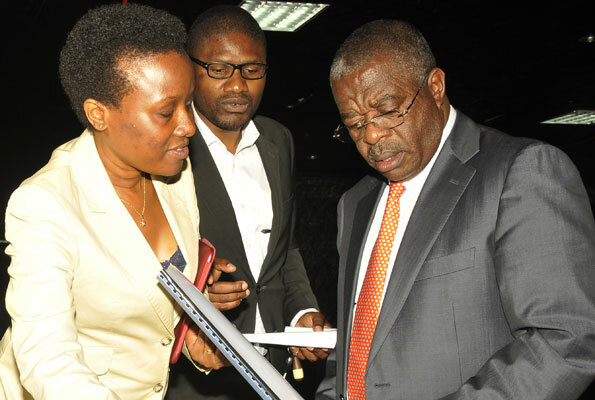 The call was made by Mary Kutesa, the Director Legal Services UNRA while appearing before the Parliamentary Committee on Physical Infrastructure where the Authority had appeared to present the 2019/2020 Ministerial policy statement. MS. Kutesa told the Committee that although Uganda is meant to start the refinancing of the loan in May 2019, the timelines are being hampered by the absence of laws governing road tolls whose revenues are going to be used to pay the multi-billion loan. Government and taxpayers will cough another Shs123Bn to compensate landowners along the expressway route. Section 6 of the Bill seeks for the Declaration of toll road which states that; The Minister may, in consultation with the Minister responsible for finance and the relevant road authority, by statutory instrument, declare any road, group of roads or a portion of a road as a toll road for purposes of this Act. The Bill highlights that the development, operation, management and maintenance of toll roads shall be supported by use of appropriate technologies including; Intelligent Transport Systems (ITS), Electronic Toll Collections (ETC), Asset Management Systems (AMS), promotion of Interoperability of Toll systems and any other system approved by the Minister. The Bill further stipulates that the driver of a vehicle using a toll road shall be responsible for paying the road toll. (2) The following vehicles are exempted from paying road tolls that include emergency vehicles of the fire brigade and ambulances, the Presidential convoy and vehicles belonging to the military, police and other security forces and these are exempted from the fees if they are on emergency duty. The Legislation also spells out offences relating to road tolls where a person who drives a vehicle through a toll station, except by a route designated for the passage of the vehicle also refuses to stop a vehicle at a toll station to pay a toll or fraudulently or forcibly drives a vehicle through a toll station without paying a toll, commits an offence. Upon conviction, the culprit would pay a fine not exceeding one thousand currency points which is equivalent to Shs20M or imprisonment not exceeding six months or both. The legislation also spells that a person who levies or collects illegal tolls commits an offence and is liable, on conviction, to a fine not exceeding one thousand currency points equivalent to Shs20M or imprisonment not exceeding six months, or both.